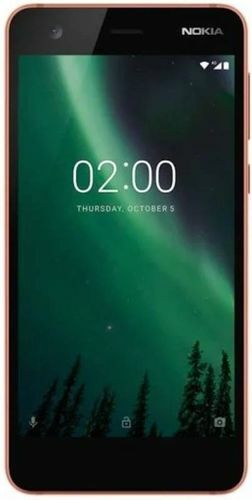 Nokia released its Nokia 5.1 Plus (Nokia X5) on September, 2018. The Cost of this model is Rs. 9999. The processor in this mobile is MediaTek Helio P60. This phone has 3 GB RAM with 32 GB Internal Memory. This phone comes with 4G & 3G connectivity. This mobile runs on Android v8.1. This model has 13 MP + 5 MP Rear Camera with LED flash along with 8 MP Front Camera without flash. ✓ The highlight of this phone is 5.86 inches Display Size which is great in this price range. 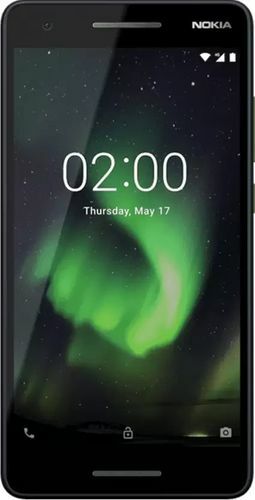 On May, 2018, Nokia launched Nokia X6 (2018). The Cost of this mobile is Rs. 11836. The processor in this phone is Qualcomm SDM636 Snapdragon 636. This phone has 6 GB RAM with 64 GB Internal Memory. Nokia X6 (2018) comes with 4G & 3G connectivity. Nokia X6 (2018) runs on Android 8.1. There is 16 MP + 5 MP Rear Camera in Nokia X6 (2018) with Dual LED flash along with 16 MP Front Camera without flash. ✓ The highlight of this model is 6 GB RAM which is best available in this price range. Along with this, this phone also comes with 5.8 inches Display Size. 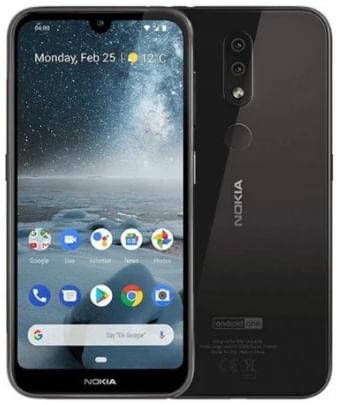 Nokia released its Nokia 2.1 on May, 2018. The Cost of this model is Rs. 5249. The processor in Nokia 2.1 is Qualcomm MSM8917 Snapdragon 425. Nokia 2.1 has 1 GB RAM with 8 GB Internal Memory. Nokia 2.1 comes with 4G & 3G connectivity. Nokia 2.1 runs on Android 8.1. It has 8 MP Rear Camera with LED flash and 5 MP Front Camera without flash. ✓ The highlight of this mobile is 5.5 inches Display Size which is great in this price range. 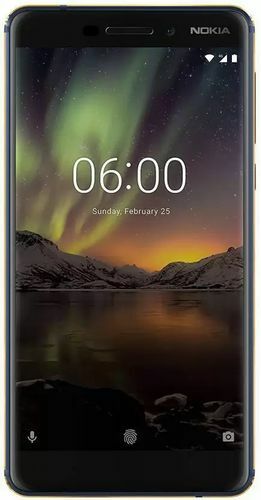 Nokia released its Nokia 5.1 Plus (4GB RAM + 64GB) on Febuary, 2019. The Cost of this mobile is Rs. 13769. The processor in this mobile is MediaTek Helio P60 and this mobile has 4 GB RAM with 64 GB Internal Memory. Nokia 5.1 Plus (4GB RAM + 64GB) comes with 4G & 3G connectivity. Nokia 5.1 Plus (4GB RAM + 64GB) runs on Android v8.1. There is 13 MP + 5 MP Rear Camera in Nokia 5.1 Plus (4GB RAM + 64GB) with LED flash along with 8 MP Front Camera without flash. 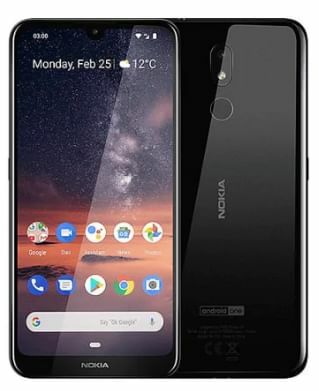 On April, 2018, Nokia launched Nokia 6.1 (64GB). Price of this mobile is Rs. 12899. Nokia 6.1 (64GB) is powered by Qualcomm SDM630 Snapdragon 630 processor. This phone has 4 GB RAM with 64 GB Internal Memory. This model comes with 4G & 3G connectivity. This mobile runs on Android 8.0. This mobile has 16 MP Rear Camera with Dual LED flash along with 8 MP Front Camera without flash. Nokia will launch its Nokia 3310 4G on September, 2017. The Expected cost of this mobile is Rs. 3999. . This phone has 256 MB RAM with 512 MB Internal Memory. Nokia 3310 4G comes with 4G & 3G connectivity. This mobile has only 2 MP Rear Camera with LED flash. Nokia will launch its Nokia 3.2 on May, 2019. Expected price of this model is Rs. 9990. This Phone is powered by Qualcomm SDM429 Snapdragon 429 processor. This mobile has 3 GB RAM with 32 GB Internal Memory. This mobile comes with 4G & 3G connectivity. Nokia 3.2 runs on Android v9.0. This mobile has 13 MP Rear Camera with LED flash along with 5 MP Front Camera without flash. Nokia released its Nokia 2 on October, 2017. The Cost of this phone is Rs. 6270. The processor in Nokia 2 is Qualcomm MSM8909v2 Snapdragon 212 and this mobile has 1 GB RAM with 8 GB Internal Memory. This phone comes with 4G & 3G connectivity. Nokia 2 runs on Android 7.1.1. It has 8 MP Rear Camera with LED flash and 5 MP Front Camera without flash. On April, 2019, Nokia will launch its Nokia 4.2. Expected price of this phone is Rs. 11990. The processor in Nokia 4.2 is Qualcomm SDM439 Snapdragon 439 and this mobile has 3 GB RAM with 32 GB Internal Memory. This mobile comes with 4G & 3G connectivity. This phone runs on Android v9.0. This mobile is equipped with 13 MP + 2 MP Rear Camera with LED flash and 8 MP Front Camera without flash. ✓ The highlight of this mobile is 5.71 inches Display Size which is great in this price range. 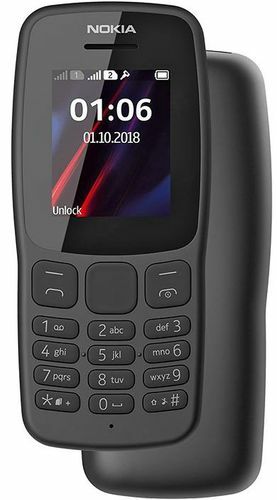 Nokia released its Nokia 106 (2018) on November, 2018. This model comes at a price of Rs. 1249. The processor in this phone is Mediatek MT6261D and this phone has 4 MB RAM with 4 MB Internal Memory.